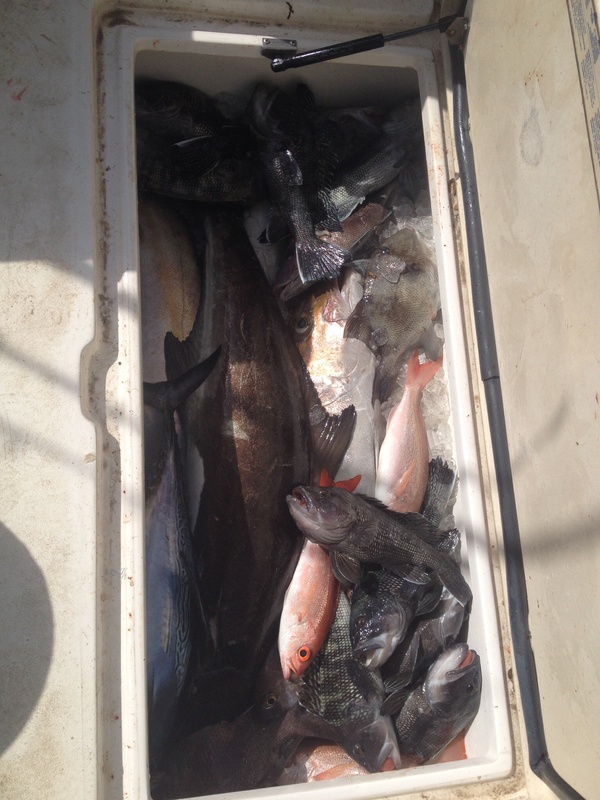 4-27-14 Gulf Stream jigging And Bottom Fishing!!!!!! Took a very good group of guys out on Sunday to the Gulf Stream. We started out trolling and the first few hours were extremely slow. We did manage to pull out about a 30 lb King Mackerel while we were trolling and then we all decided to do some bottom fishing because our plan was to fill the coolers up and that’s what we did!!! We switched over to Jigging and the first line down got hammered by a mid 40lb Jack. It was fish on from the time we started bottom fishing till the time we stopped. 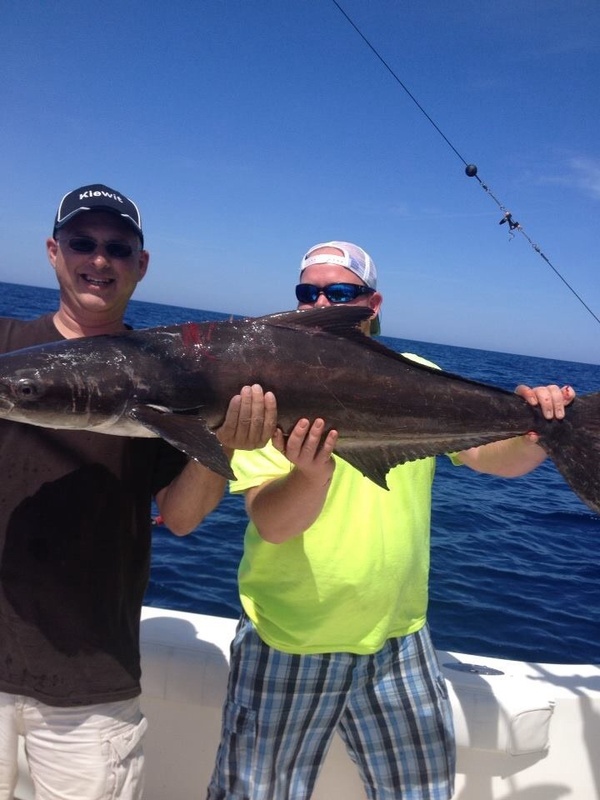 Our trophy fish of the day was a nice 45lb Cobia. Ended the day with a box slam full of fish!!!!! If you’re looking for a good trip and don’t wasn’t to spend a ton of money or leave sight of land then our 1/2 day nearshore trip might be perfect for anyone of any skill level. 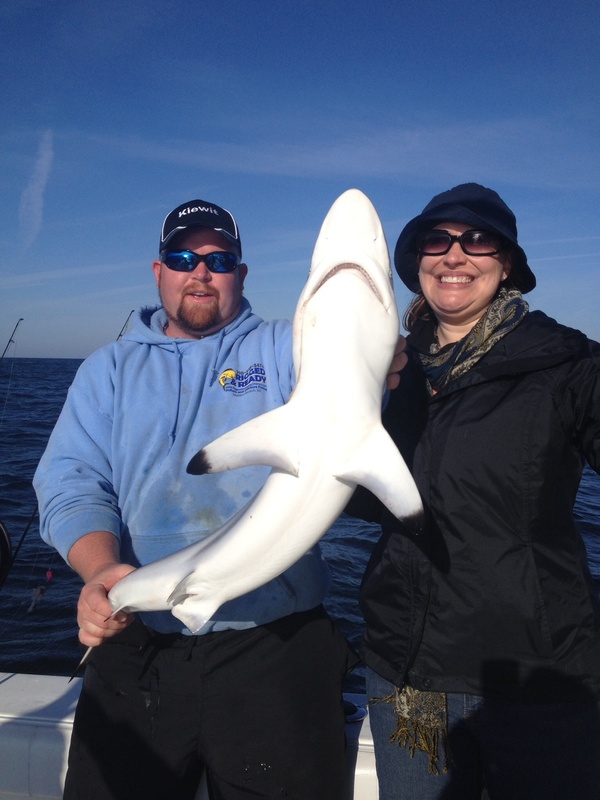 Right now we are catching Blue fish, Black Sea Bass, Trout, and Black Tip Sharks.